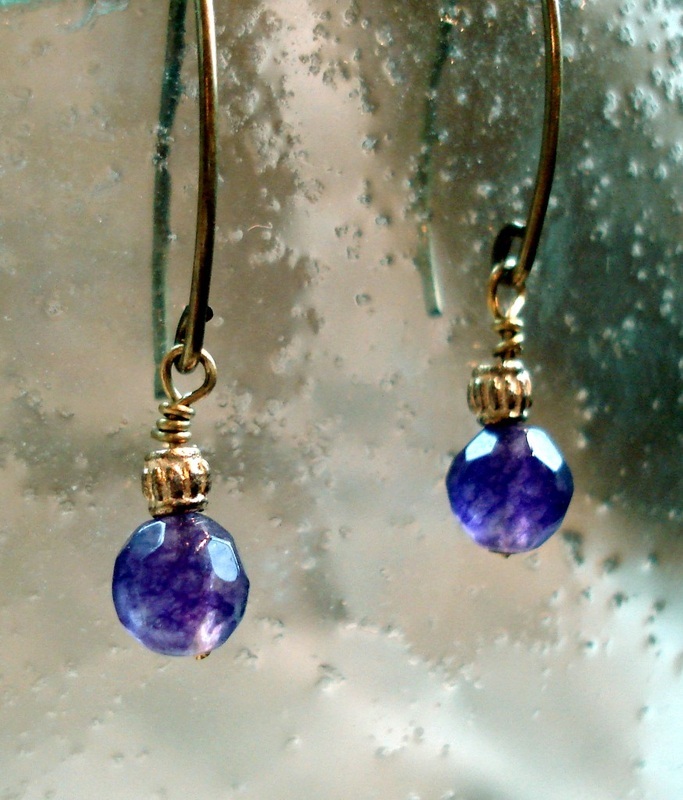 Faceted amethyst rounds on antiqued bronze ear wire. 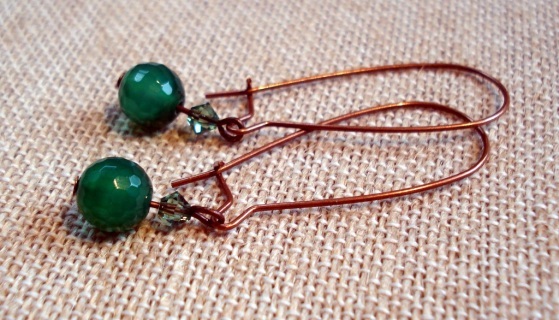 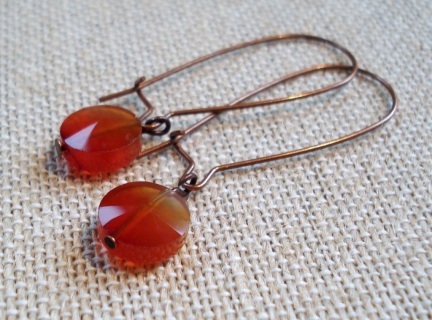 Size: 1 1/2"
Faceted carnelian discs on antiqued copper ear wire. 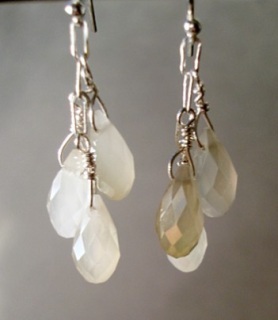 Size: 2"
Cream AB Crystal drops on sterling silver chain and hooks. 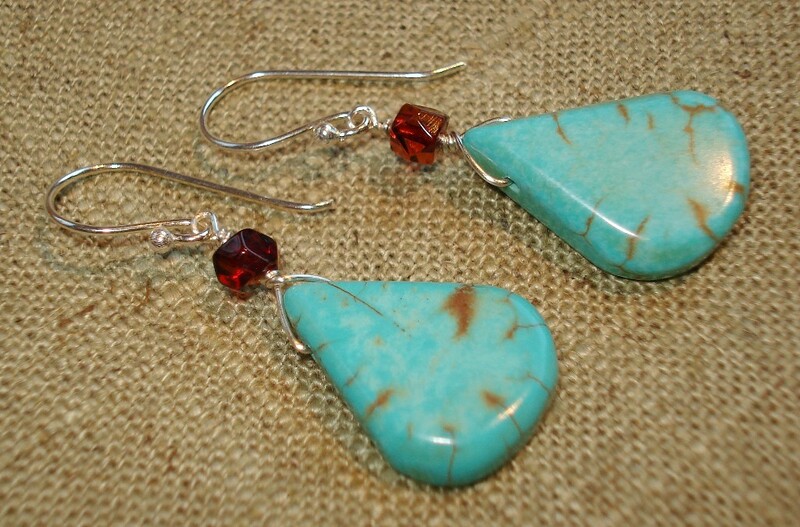 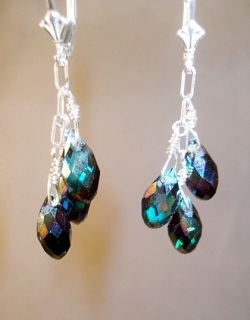 Size: 2"
Teal AB Crystal drops on sterling silver chain and hooks. 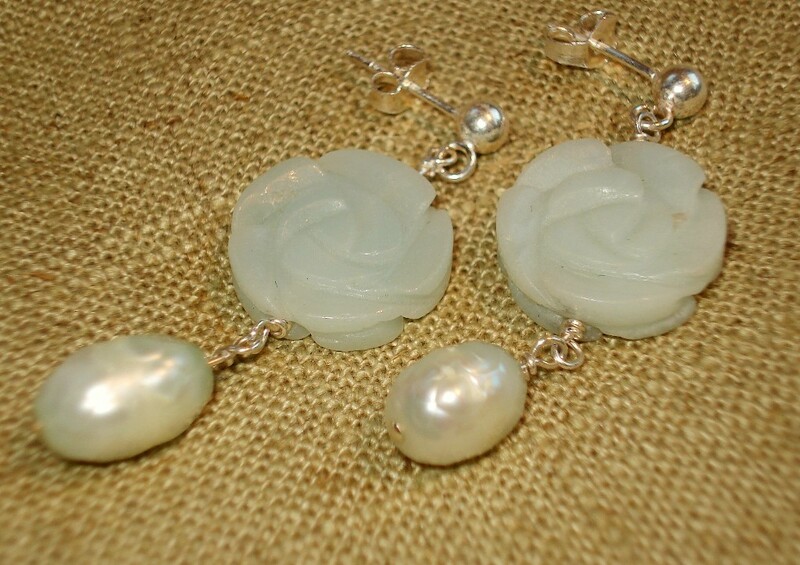 Size: 2"
Carved chrysoprase flowers with pale green faceted freshwater pearls on sterling posts. 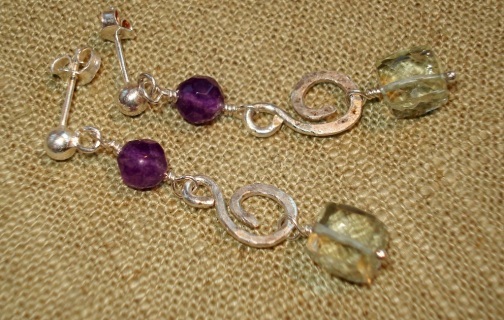 Finished Length: 1 1/2"
Purple and green amethyst stones & hand forged links of sterling silver dangle from sterling posts. 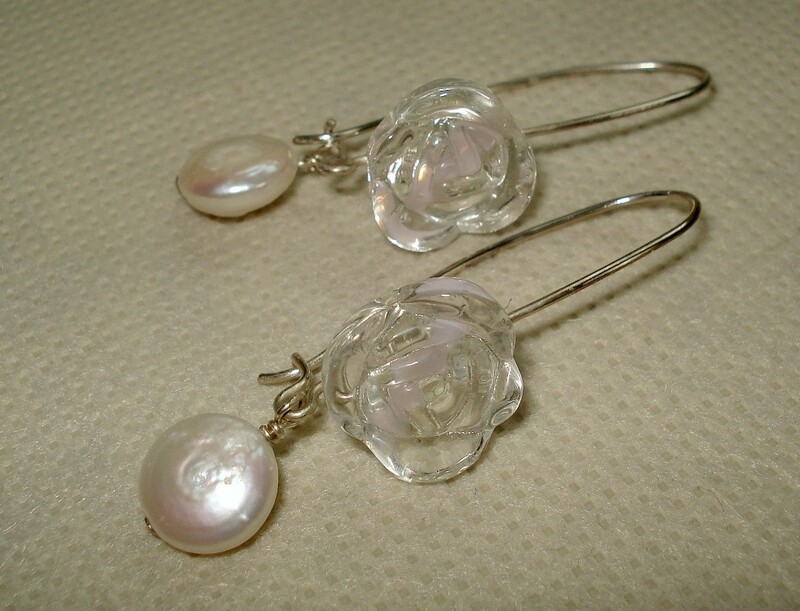 Fin.Len.2"
Carved crystal quartz flower with white coin pearl on handcrafted sterling ear wires. 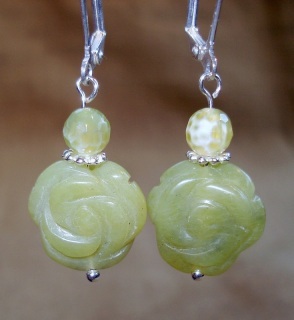 Size: 2"
Carved serpentine flowers and yellow faceted agate rounds dangle from silver plated lever backs. 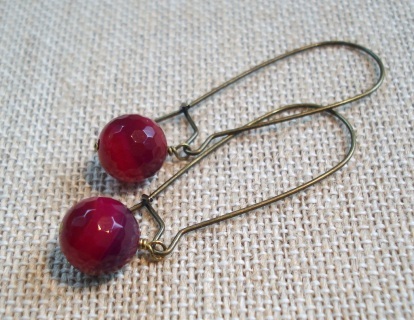 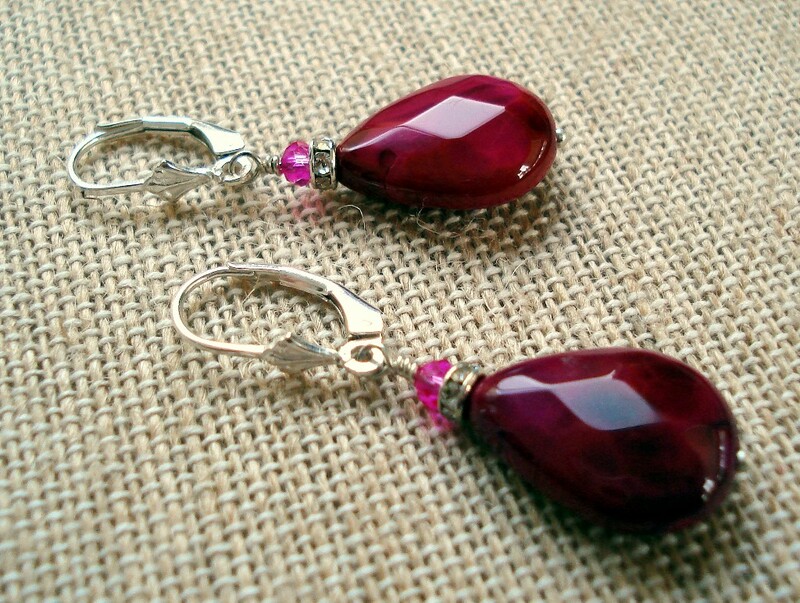 Pink agate faceted drops with rhinestone spacers and pink crystal on sterling silver lever backs.Size: 1 1/2"